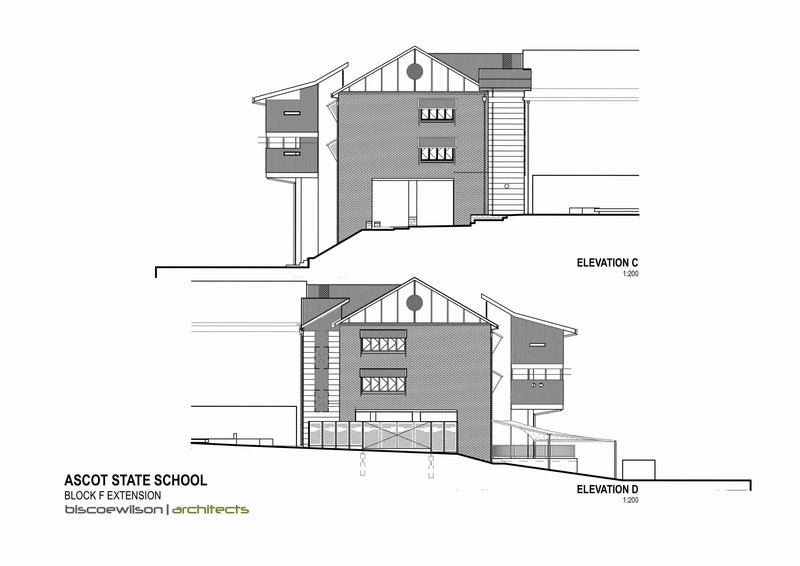 Biscoe Wilson Architects’ design for a Ascot State School’s new general purpose classroom block includes six flexible classrooms over two storeys. 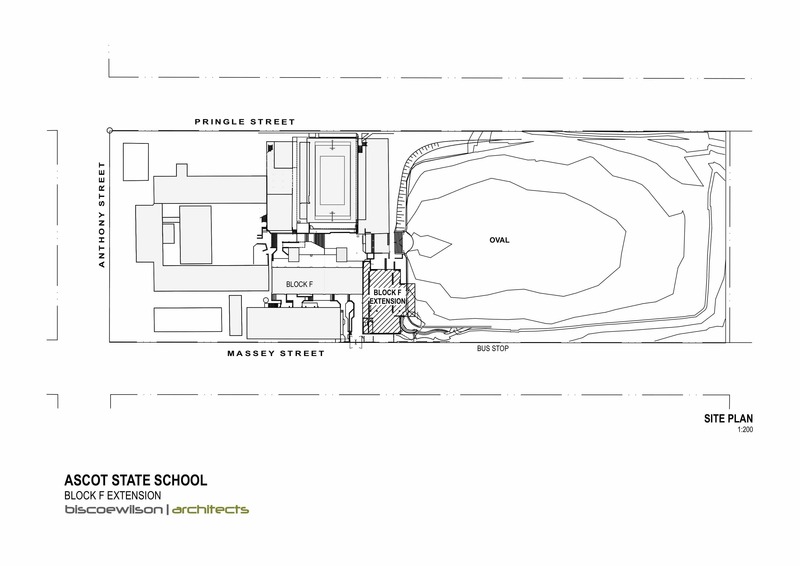 Flanked by existing heritage-listed brick buildings, the tight site overlooks the school oval. The new building maintained the schools visual and physical connections to the oval by providing an undercroft below the classrooms. Laser cut perforated metal screens promote natural light and ventilation in the outdoor learning areas while maintaining safety and security. The new building was aligned and connected with the existing adjacent buildings to promote circulation and wheelchair accessibility. 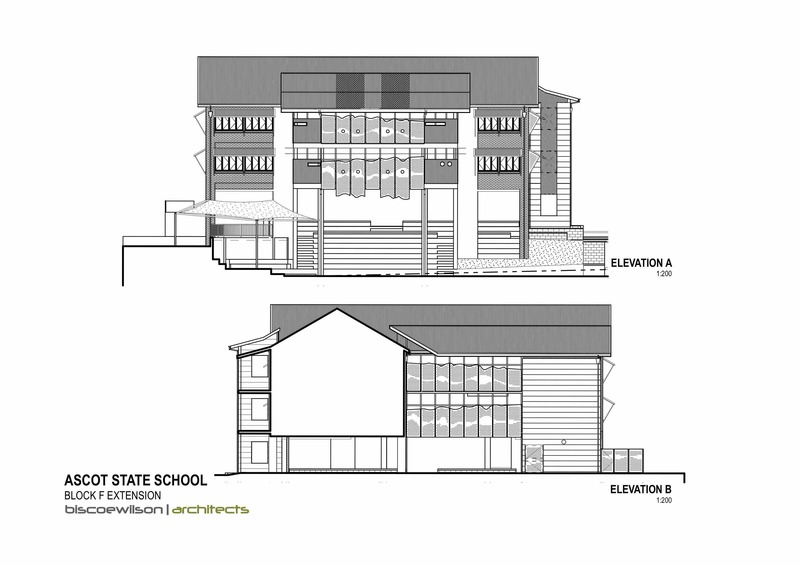 Biscoe Wilson Architects have been researching pedagogy, because we believe in an understanding of the requirements of teachers and needs of students to informs the design of our buildings.